Workbench Bracket; Fits 4"x4" Post, Works with any 3/8" Threaded Stem Caster. Easy to install. Determine the socket you need by measuring the Inside Diameter of the tubing and matching that to the outside diameter of the socket. The sockets are usually quite long-lived. 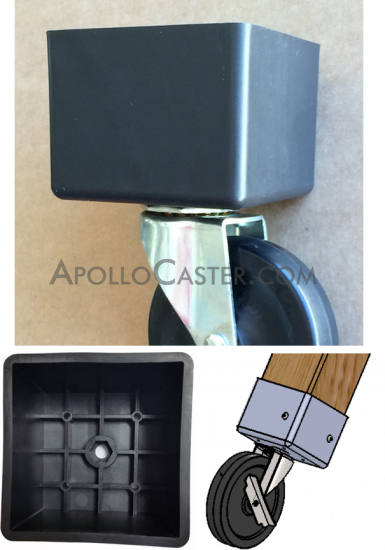 It"s only function is to keep the casters (or glides) from falling out when the application is lifted. Most of these are for hollow tubing, wood or weld-on applications. Various styles are for grip ring stems, grip neck stems and threaded stems.